On September 1, 2017 members of the faculty of the College of Literature, Science, and the Arts, along with an undergraduate student, at the University of Michigan formally submitted a case to have C.C. Little’s name removed from the building on campus that has carried his name since 1968. The cover letter is included below. Led by Professor John Carson (History) they worked throughout the summer to assemble an impressive case fully aligned with the new university guidelines that govern these kinds of requests. You can read the complete document HERE. And you can access the guidelines articulated in the memo from the President’s Advisory Committee on University History HERE. This is the among the first powerful test cases of whether this process will allow us to productively debate the merits of renaming requests, and whether it will prove to be a mechanism for institutional change. After you read the case, and if you are convinced by its merits, you can endorse the request here by adding your signature and/or by sending your own thoughts to President Mark Schlissel (mschlissel@umich.edu) between now and November 1, 2017. We hope that this process will encourage open debate, and that your endorsement will bolster the case for renaming the CC Little Building. I write on behalf of a group of faculty and students in response to Professor McDonald’s note of March 15, 2017 inviting me to elaborate on my request that the name of the C. C. Little Building be changed (see below). I apologize for the delay in writing back, but the task proved more involved and time consuming than I had anticipated, and could have only really been done outside of the press of teaching and administrative duties. Attached you will find our document providing background on President Little and the C.C. Little building, as well as our detailed argument for why we believe the name of the building should be changed. At the end of the document we reply specifically to each of the eight principles enunciated in the President’s Advisory Committee on University History memo to the President of January 6, 2017. We found that speaking to the principles alone did not allow us to develop our case as fully as we deemed necessary, and so we have adopted this hybrid format. 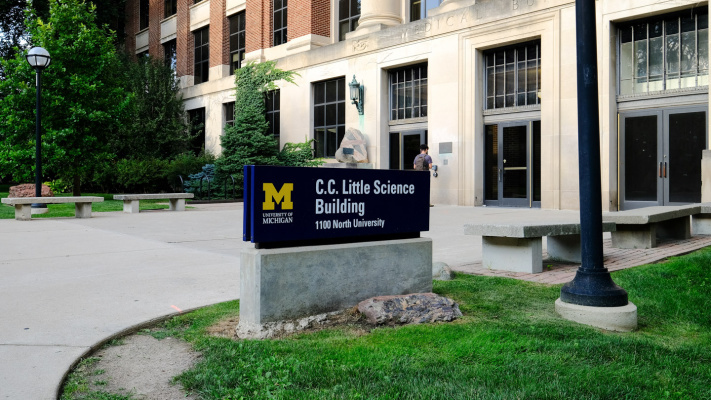 We hope that as part of the process of considering a change in the name of the Little building, and any other building for that matter, there will be some sort of public discussion open to the entire U-M community, where any interested party will be invited to participate. We see such a forum as vital to enhancing the pedagogical value of name-changing, as well as signaling that names are a matter of public interest and communal ownership. In the end, the greatest single beneficiary of a careful consideration of the university’s names is the university itself. Students, alumni, faculty, and staff are vital contributors to this process and, as members of the university community, are affected by the names the university has chosen to memorialize. Going forward, we encourage a broad, inclusive process that addresses all of the stakeholders.